Bonnyrigg White Eagles were made to work for their win in wet conditions at Bonnyrigg Sport Centre on Saturday night, eventually overcoming a stubborn APIA-Leichhardt Tigers by a 4-2 score line. Mitch Long and Tynan Diaz netted either side of Sean Symons equalising goal with the latter scoring on the last attack of the half to put Bonnyrigg in the driver’s seat going into the interval. Alex Mansueto gave the hosts breathing space with a chested goal shortly before the hour mark only for Adel El Jamal to pull a goal back to keep Tigers in contention before Long wrapped up the scoring and his brace late on to secure the win for Bonnyrigg. It was a valiant effort by Tigers who had matched their opponents for extended periods of the match, yet Bonnyrigg’s clinical finishing got them over the line and ensured they remain clear at the head of the table. Their opponents remain languishing near the opposite end of the ladder yet with a little more luck in front of goal their current approach could well see them make a recovery throughout the second half of their 2013 campaign. Head coach Billy McColl and assistant coach Nicola Rizzo have worked rigorously to promote positive football from their side and the hard work looked be reaping its rewards as Tigers caused the league leaders headaches in the opening minutes. A swift attack down the left flank saw Symons played into the box; the winger drew in the Bonnyrigg defence before unselfishly teeing up an unmarked Brad Bartels who drew a brave block from Matthew Nash between the sticks. Bartels was back in on the action soon after as he found space on the right flank before delivering a brilliant cross into the box that a required crucial touch from the fingertips of Nash to tip the ball away from danger. Despite asserting early pressure the visitors soon fell behind as Bonnyrigg took full advantage of their first corner of the match. Diaz’s delivery wreaked havoc in the box as the ball was headed and ricocheted between a number of players from both sides before Long pounced to turn the ball past Andrew Bazi to give his side the early ascendancy. It wasn’t the start Bazi had hoped for as he returned to face his former club only to pick the ball out of the back of the net with his first action of the game, yet the custodian would go on to produce a fine performance in goal as the match wore on. Tigers took the early setback on the chin and kept up their tempo; their unwavering attitude quickly paid off as they grabbed an equaliser shortly before the quarter hour mark. English import Jason Oswell shrugged off pressure from his marker to test Nash with an awkwardly placed shot; the keeper got the faintest of touches to turn the ball away from goal only for Symons to follow up and coolly turn home the rebound. The equaliser was nothing less than Tigers deserved after taking the game to the hosts in the opening stages. The chances appeared the be the only thing drying up in the match as the sides contested an intense midfield duel in increasingly slippery conditions with neither side able to gain a hold on possession, let alone create goal scoring opportunities. Bonnyrigg did manage to forge a golden chance shortly after the half hour as Long played Younis into the box yet Bazi came to the rescue for the visitors, racing off his line to spread his frame and block the striker’s finish. Bazi then denied substitute Aaron Peterson from the edge of the box to keep Tigers on level terms before the visitors began to create chances for themselves once again. El Jamal perhaps should have punished Bonnyrigg when they failed to clear Franco Parisi’s free-kick, however a typical defender’s finish saw El Jamal blaze a volley well over the crossbar. With half-time looming Parisi then utilised the slick pitch to draw a brilliant low save from Nash who produced safe hands to hold the wet ball. The save proved crucial as the hosts reclaimed the lead from the final attack of the half. Bo Hyun Chun was the architect, producing an inch-perfect through ball to slice open the heart of the visiting backline and provide Diaz with the half-chance he needed to tuck the ball past the onrushing keeper and into the net. The goal would have changed the half-time team talks of both coaches, most notably the Tigers’ coaching staff who needed to keep their side motivated after matching their opponents for large periods of the opening half. McColl and Rizzo’s words looked to have made their mark as his side came close to equalising straight from kick off as substitute Michael Hawrysuik slipped through on goal only to be denied by a fine block from Nash. The save seemed to spark Bonnyrigg back into life as they pressed forward in search of another goal to ease the tension. Peterson had looked lively since replacing the injured Jordan Crighton in the first half and the winger produced more of the same in the second as he cut inside his marker before centring for Younis who struck the near post with his placed finish. Chun then came close minutes later as his shot from the edge of the box deflected inches wide thanks to El Jamal’s aggression in defence. Bonnyrigg were piling on the pressure and were soon rewarded with their third of the night when Tigers again failed to deal with a Diaz corner as Mansueto showed great anticipation to get his frame in the way of Mark Byrnes’ attempted clearance and chest the ball into an open goal from close range. While the celebrations were wild the host’s breathing space was quickly limited as Tigers soon pulled a goal back to keep themselves in the hunt. This time it was Bonnyrigg’s turn to struggle dealing with a corner in the wet conditions as El Jamal knocked home a scrappy goal to bring the score line to 3-2. The hosts continued to apply pressure as they looked to restore their two goal lead and they appeared to be on their way as Peterson looked to outpace Brendan Reilly to a long ball only to be halted in his tracks by Bazi who was raced out of the box to take the ball yet dangerously bodycheck the substitute who was left floored by the challenge. Bazi received a booking for his troubles and quickly redeemed himself as he touched Adrian Ucchino’s wicked free-kick wide of goal. Despite looking sharp there was little Bazi could do to deny Bonnyrigg minutes later. Long slid to steal possession in the final third before storming forward and driving a brilliant low 20-yard strike toward goal. The ball skimmed off the wet turf and inside the near post as Long secured his brace and tightened Bonnyrigg’s grasp on the three points. Long then saw an attempt at a hat-trick blocked before Ucchino fired a decent chance just over the crossbar minutes later. Bartels almost pulled a late goal back for Tigers as he raced clear through on goal deep in injury time yet Nash held firm to make another great save as Bonnyrigg went on to secure all three points. “Happy with the result,” smiled Brown. “First day of winter; it’s certainly a cold, boring performance I think. “I just thought all around – and credit to APIA, they worked hard, forced us down, and didn’t give us much time and space – but I just thought our boys were just a wee bit off tonight. “I just thought we as a unit just didn’t close them down that well,” said Brown. “I thought we were concentrating too much on trying to play football instead of just working hard. “It seems to be a pretty common thing that we do quite well and probably deserved a lot more out of the match,” said Rizzo. “I feel like I’m saying the same thing every week but I think we had about four one-on-ones and with chance after chance we didn’t score. “We have to start taking our chances and start defending from set pieces better. “We’re conceding stupid goals and not taking our chances and that’s why we’re finding ourselves in this position. “But the commitment, the performance, it was excellent. “I think overall we didn’t have a bad player,” said Rizzo. “I think everyone was very good, every worked hard, was committed, and the performance was good. “The only thing we can fault is just a few things we need to defend better at and we need to take our opportunities. We commence the second part of the season this weekend with the first of the reverse fixtures to take place on Saturday and Sunday. Central Coast Mariners Academy will be out looking for a second consecutive win in the competition after securing a first ever win in the State’s top flight, at home last weekend. The boys from the Central Coast will have a big test on their hands however, as a rejuvenated Sydney Olympic outfit makes the trip to Pluim Park. The home side enjoyed a victorious Saturday evening last weekend courtesy of striker Chris Payne’s phenomenal four-goal haul. The former Sydney FC striker, who has the A-League experience to call upon, will carry the hopes of the home supporters’ on his shoulders this weekend as more of his goals will go a long way in improving on his side’s rather lean run in the first part of the season. The Mariners have made life difficult for a number of adversaries this season, however the side has just not been able to maintain its level of concentration, and nerve, for the entire 90’ minutes. The win against the Wolves last weekend however will certainly go a long way in handing the side some additional confidence against Sydney Olympic. The Blues too have enjoyed a change in fortune over the past fortnight following the arrival of coach Grant Lee. The new Blues’ boss has managed to restore confidence amongst his playing group following the departure of the coaching staff and a number of key players. Lee will be seeking more of the form shown to-date by Amaury Gauthier and Will Angel, both players playing a big role for the side with their tenacity and exuberance. A win for the Blues will keep them firmly in the mix to challenge for the top-three spots meanwhile a Mariners victory will further strengthen the side’s cause to move off the foot of the table and mount a challenge for a dash towards the top-five – still mathematically possible with eleven matches still to play. Bonnyrigg White Eagles will be expected to score another victory this weekend when APIA-Leichhardt Tigers visit Bonnyrigg Sports Ground on Saturday evening. The White Eagles regained sole-hold of the top spot after the win at Marconi last Sunday, and Brian Brown’s men looked very serious in the process. The side suffered a very unexpected loss at Sydney Olympic one week earlier, in what was an uncharacteristic display by a side that is normally so very meticulous in its displays. Brown got the response he wanted from his troops last weekend though, and the signs look very positive with Adrian Ucchino, in particular, looking to be in some very good form. The White Eagles will once more look to capitalise on its strengths in the middle of the park, meanwhile striker Robbie Younis would love to get back onto the scorer’s sheet with a goal against his former club. The visiting Tigers do have a mammoth task ahead of them, and only a brave person would bet on the side returning from Bonnyrigg with anything to show. Coach Nicola Rizzo has been able to implement a positive style of play since taking over the coaching reigns, and had it not been for some bad luck in-front of goal, the side may well be sitting higher up the ladder at present. Rizzo’s men will have nothing to lose on Saturday evening, and playing away from the bumpy pitch at Lambert Park may very well play in the side’s favour. A proud club, with some very experienced campaigners, the Tigers could still give this competition a shake with a positive start to the second-half of the competition. Two of the competitions form sides meet on Saturday evening when Blacktown City FC play host to Rockdale City Suns.  Both sides have played some exceptional football over the past two months, and both sit in equal-third spot with goal difference – in favour of Blacktown City – currently separating the two sides. Mark Crittenden’s men were ruthless in the trip t Manly United FC last weekend, blasting three first-half goals away before calmly administering the second-half for the win. Blacktown City has been in some great form with the likes of Harris Gaitatzis, Sean Rooney and Ryuji Mijazawa a constant menace for defenders. The side’s only downfall has been its inability to always close out matches – the finger pointed firmly at some very big lapses in concentration, specifically following spells where the side has totally dominated its opponent. The visiting Suns come off a very good showing against Sutherland Sharks, where two goalkeeper errors ultimately cost the side maximum points. Coach Branko Culina has successfully implemented his football philosophy amongst his playing group, and the youngsters – assisted greatly by the likes of Richard Cardozo and Paul Reid who do bring in a lot of experience – have been able to perform above expectation. With the home side starting the encounter as favourite, one should not discard the Suns at all with the side looking to play finals football for the first time since joining the top-flight. Sutherland Sharks need the three-points to keep pace with Bonnyrigg White Eagles this weekend, and it recent form is any guide to go by, the side should be able to overcome South Coast Wolves at home on Saturday. The Sharks have been one of the form sides this season, even though the side appeared to be a bit off the pace against Rockdale City last weekend. Robbie Stanton’s men have been in a confident mood, improving on recent seasons with a larger amount of points collected on the road thus far in 2013. Sutherland handed the Wolves a 4-0 hiding in the reverse fixture in the opening round, and with the Wolves struggling to get its campaign on track, another favourable result appears very possible. A positive addition to the Wolves is the return to action, and form, of Ricky Zucco who has played some impressive football this season. The winner of the Round 11 goal of the week award has netted some impressive goals this season, and more goals on Saturday will give the Wolves every chance of returning to the South Coast with something. Coach Richard Lloyd will be asking his defenders to remain compact and not cough up silly possession – the cause of a few too many early goals conceded in recent weeks. Marconi Stallions and Blacktown Spartans sit level on the League ladder this season and both sides will be looking for maximum points this weekend to keep pace with the top-five. The Spartans handed the Stallions a shock first-up loss in the opening round this season at Blacktown Football Park, and the reigning champions will be looking to exact revenge on Ben De Haan’s team this weekend. The Spartans have proven its ability to mix it with the best in the competition, though the side will need to offer goalkeeper Carlos Saliadarre a little more protection if it is to mount a challenge for the finals. Saliadarre has been in exceptional form since returning from his stint training with A-League side West Sydney Wanderers. The shot-stopper was completely responsible for the Spartans point gained at Sydney United 58 FC last weekend, making a huge number of timely interventions to keep the scores level. Out of the Stallions camp, the run of results in recent weeks has not been great, with the side slipping from the form that saw the 2012 champions close in on the top-five. Coach Jean-Paul De Marigny too has had his goalkeeper, James Chronopoulos in fabulous form, though perhaps it is his side’s inability to freely find the back of the net at the moment as the major problem. The signing of Evan Berger will certainly start to reap reward as the former Stallion settles back into life at Marconi Stadium, meanwhile the Milorad Simonovic continues to show his experience and ability. Action aplenty is expected in Bossley Park this Sunday afternoon. In the weekend’s match of the round, Sydney United 58 FC will be desperate to return to winning ways after a lean spell in recent weeks has seen the side slump outside the top-five for the first time this season. Reds coach Mark Rudan will need to make a couple of adjustments to his playing squad as both Mitchell Stamatellis and Stepjan Paric will miss the encounter due to suspension. The Reds’ supporters will be hoping for a first win on the club’s new playing surface as the side aims to put a halt to the current form slump. Manly United will certainly provide the Reds with a testing encounter, even though the Northern Beaches side has struggled to find wins in recent weeks. The loss at home against Blacktown City FC was somewhat heavy, and Craig Midgley’s men will need to start this encounter with some additional intensity if it is to stand any chance. Manly too will be without an important element for this encounter, Graeme Forbes picked up a red card last weekend and will be ruled out for the trip to Sydney’s west. Colin Iley will carry the weight of expectation in the front-third with the side in need of further support from Matt Sim and Sean Seavill. With a lot of pressure on the home side to return to winning ways, this encounter could provide Mark Rudan’s team with the ‘push’ it needs to get back into the top-five. A workmanlike performance saw Bonnyrigg White Eagles move back to the top of the table courtesy of a hard-fought 2-0 win over Marconi Stallions at Marconi Stadium on Sunday afternoon. The creative freedom Brian Brown encourages from his wing backs proved to be the difference on the day as Jordan Crighton and Chris Tadrosse struck goals in each half to earn the three points. While the sides were fairly evenly matched in the first-half, Bonnyrigg went on to gain control of the second period to see out the win against the opposition that pipped them to the title in last season’s grand finale. The win moves Bonnyrigg two points clear of Sutherland Sharks at the summit while Marconi Stallions remain mid-table at the halfway point of the season. Bonnyrigg looked to assert early pressure on Marconi’s backline as they attacked in numbers in the opening minutes and forced the hosts to defend on the edge of their own 18-yard box. Having netted a brilliant long rang effort a fortnight earlier Bo Hyun Chun looked to repeat the feat with the first effort on target of the match yet he couldn’t find the connection he needed as his strike was easily gathered by James Chronopoulos. Marconi looked dangerous on the break as they hit their opponents with pace while the visitors looked to utilise space on the flanks with Tadrosse and Crighton pushing forward from the left and right side of defence respectively to assist in attack. The first clear chance of the match came to Robbie Younis as Adrian Ucchino fed the ball to his feet in the box; the enigmatic striker was able to turn his marker yet mishit his finish which was well covered by the keeper. The hosts looked to have split Bonnyrigg open just before the quarter hour mark when Milorad Simonovic smartly played Evan Berger into the box however Matthew Nash was quick off his line to spread his frame and block the winger’s finish at the expense of a corner. Marconi then looked dangerous from the set piece as Nahuel Arrarte and Berger’s corners both drew vital punches from Nash to clear the dangerous deliveries to safety. The opportunities seemed to help the hosts grow in confidence as momentum began to swing in their favour. Simonovic got in on the action midway through the first-half as he chased down a long ball to outpace and outmuscle Alex Mansueto and force his way through on goal; Nash was again on hand to block the striker’s placed finish to keep his side level. A determined Chronopoulos then produced a brilliant save of his own soon after when Younis beat the offside trap and gracefully rounded the keeper only to see Chronopoulos recover in time to get down and hold the striker’s finish as he looked to place the ball into an open net. Younis left the Marconi defence in his wake once again minutes later to latch onto Ucchino’s lofted through ball however the striker couldn’t get his finish on target as it drifted harmlessly over the crossbar. Tadhg Purcell found space on the left flank just after the half hour mark and left the Bonnyrigg defence stranded with a delightful ball that wrong-footed the visiting backline and found Simonovic with time to line up a volley; Simonovic perhaps should have made more of the opportunity as he struck the ball wide of the near post much to the relief of Brian Brown and Co.
Bonnyrigg began to settle down and move the ball around well as they looked to play their own game and regain control of the centre of the park. While they were successful in doing so they also forced their way into the lead late in the half when Marconi failed to clear a Tadrosse corner and allowed Crighton the space to volley on the turn; the defender’s shot found its way through a cluster of players and into the back of the net to break the deadlock. Simonovic almost grabbed an equaliser from Marconi’s next attack yet Nash was on hand once again to block the half-chance as Bonnyrigg held their one goal lead going into the interval. The match tightened back up after the restart as both sides contested a tight midfield duel that saw clear chances in front of goal temporarily dry up. Sean O’Connell found space on the right flank before delivering a dangerous cross to Arrarte however the Marconi captain failed to hit the target as blasted the ball out of the stadium with a wild attempt. The hosts were punished for the miss by their opposing captain just before the hour mark when Bonnyrigg doubled their advantage. Fine lead up play on the right flank culminated with Tadrosse sneaking forward from the left side of defence to pop up unmarked in the Marconi box before driving a low shot past Chronopoulos and inside the near post to give his side some breathing space. Marconi coach Jean-Paul De Marigny responded immediately by withdrawing Simonovic and injecting Japanese import Kojiro Hori into his attack as he searched for a way to get his side back into the match. While the hosts pressed forward in the hunt of a goal they almost self-destructed at the back when Ali Haydar’s weak back pass left Chronopoulos in all sorts of trouble; the keeper recovered to race off his line to make a half clearance that required Damian Travis to concede a tactical foul and consequently a yellow card to prevent Bonnyrigg putting the ball into an open goal. With a number of players lined up to take the ensuing free-kick on the edge of the box Younis curled just over to let the hosts breathe a sigh of relief. Mansueto came close to becoming Bonnyrigg’s third defender to score on the afternoon when a half chance fell to him from the corner yet a deflection off a Marconi player saw the ball deflect just wide of the far post. Marconi continued to push numbers forward into the Bonnyrigg half yet couldn’t quite break down their opponent’s backline while often leaving themselves exposed at the back. Younis appeared to be on his way through on goal to net Bonnyrigg’s third when Howard Fondyke stole possession and played a through ball into the striker’s path yet Haydar did well to track back and block Younis’ route to goal before he knocked a wayward finish well off target under the defender’s pressure. Younis then snuck his way past Travis and substitute Steven Drewery with a sneaky touch in the dying minutes only for Chronopoulos to deny the striker one final time before Bonnyrigg saw out the final few minutes of their two goal victory. “I’m very happy,” smiled Brown. “I thought it was a very good workmanlike performance from the team. “I thought defensive we were strong, that was the base of letting us get forward and I’m very happy with the performance. “I’m not really too worried about that,” said Brown. “Obviously you want to stay at the top if you can but we’re halfway through the season and we keep winning and that’s all we want now. “I thought we opened the game really well,” said De Marigny. “We got behind them a few times and combined nicely in the attacking third there. “You’re only as good as your last game so we’re looking forward to the second part of the season,” explained De Marigny. “Hopefully we’ll get numbers back on the pitch and hopefully it works out for us. “We’ve got to get into the top five; that’s our major thing you know. The Central Coast Mariners Academy will be hoping to finish the first part of season 2013 with its first win of the campaign when South Coast Wolves visit Pluim Park on Saturday night. The Mariners, who put up an almighty showing at Rockdale last weekend, will again be aiming to get its approach right for the full 90′ minutes, and a win against the Wolves will be the perfect platform for an assault on the second part of the season. The Wolves too have failed to ignite this campaign though the return of Ricky Zucco, and the latest signing of Steve Hayes will certainly act as motivation for the side this weekend. With both teams routed at the wrong end of the ladder, three points from this encounter will give a massive push to realising the season objectives. Manly United FC will be aiming to rise above the disappointment of conceding a late goal at home against Sutherland Sharks last weekend, which consequently saw the side miss out on a share of the spoils. Craig Midglley’s men, despite being under the pump for large spells, did give a good account of themselves and can take a number of positives into this weekend’s encounter. The visitors came home strongly to secure a point against the Spartans in the Blacktown Derby, the only concern for the coaching staff being the side’s massive lapse in concentration that ultimately cost them maximum points. With points needed for both sides to maintain their resoective season objectives, an open, attacking match is expected on the Northern Beaches. Two of the competition’s form sides meet on Saturday evening as Sutherland Sharks host Rockdale City Suns in the Match of the Round for the weekend. Both sides have enjoyed a very positive month of results, culminating in both outfits figuring in the Top-Five. Sutherland’s form has been impeccable, and with a home clash this weekend, it will take a brave person to bet against the joint league leader. Coach Robbie Stanton can count upon an in form Panni Nikas who was brilliant last weekend, meanwhile the general mechanics of the side seem to be working so very well across the park. The task at hand will be a big one for the Suns, though Branko Culina’s men have already shown what it is capable of, even away from Ilinden Sports Centre. The return of Paul Reid brings back the wealth of experience in the middle of the park, even though the younger players thrown into the deep end have performed remarkably well, giving Culina a big headache each week when it comes time to select his playing squad. With a lot to play for, and both sides in great form, action aplenty will be expected on Saturday evening. Stern rivals Marconi Stallions and Bonnyrigg White Eagles lock horns on Sunday in Bossley Park with the home side eager to inflict another defeat on the White Eagles after the joint leader lost its first match of the season at Sydney Olympic. The Stallions ground out an impressive win, even though the side was under the pump for large spells against Sydney United 58 FC. Jean-Paul De Marigny’s men were ruthless in-front of goal, all in the while guided marvellously by James Chronopoulos in goal – the shot-stopper in some exceptional form. The White Eagles were outplayed by Sydney Olympic in Round 10, something Brian Brown’s men have not experienced all too often in recent seasons. The shock loss will no doubt spur the side into a reaction as the Sharks have since joined Bonnyrigg at the top of the table. With one match to go to complete the first half of the season, both sides will be seeking maximum points, and a good display, as a springboard for the second part of the regular season. Two former NSL heavy weights meet at Lambert Park as Sydney Olympic visit APIA-Leichhardt on Sunday. The home side, still searching for its first win of the season, is running out of time to turn its campaign around with twelve matches still to play – ten of those matches top be played on the road. Coach Nicola Rizzo has certainly brought about some changes with some decent football, however the side has not been able to get wins on the board. Most importantly over recent weeks has been the good showings of both Nikola Taneski and Franco Parisi – both players will be vital to any chance the Tigers may have of an assault on the ladder over the coming three months. The visiting Sydney Olympic gained some massive confidence with the win over Bonnyrigg last weekend in new coach Grant Lee’s first match as boss. The positive displays of all of his troops was very impressive and more of the same will be required if the side is to make a serious push for silverware this season. A proud history between these two clubs means both will be very eager to claim bragging rights this weekend. Sydney United 58 FC play its first match at home on the newly laid aritificial surface this weekend, a good opportunity for the side to return to winning ways after a lean few weeks. Mark Rudan’s men have stuck to their philosophy of playing attractive, attacking football, though the results have somewhat dried up. Rudan can call upon Chris Triantis and Glen Trifiro to marshall the midfield, and the side will need to be at its best against a Spartans side that has been very impressive this season. Ben De Haan’s men were on track for a big win against Blacktown City FC, though the side failed to close out the result after holding a two goal lead 15′ minutes from the end. The Reds start the encounter as favourites, though the growing confidence of Andre Carle & Co. really does stand the Spartans in with a chance of causing an upset, and ultimately continue the side’s positive run of results. An injury time effort from crafty midfielder Panni Nikas saw Sutherland Sharks beat Manly United FC 2-1 on Sunday at Cromer Park. The Sharks deserved the three points, but they were made to work hard for the victory which now sees them equal leader of the competition. 10’ minutes in Nikas almost opened the scoring. A loose clearance from United keeper Dylan Mitchell saw the ball quickly make its way into the final third. Striker Brad Boardman dummied to leave Nikas with the opportunity to fire his team into the lead, but Mitchell redeemed himself, cutting off the angle and blocking the goal bound effort. The remainder of the half was a dour affair, with Manly content to give Sutherland the ball and look to break in numbers on the counter. 40’ minutes in Matt Sim fed Colin Iley, but the Englishman lost control at the vital moment and the chance went begging. It proved costly with Nikas scoring 2’ minutes later. An errant pass from Danny Grant saw the ball eventually fall to the Australian beach football representative, who slotted home at the near post. 3’ minutes after the break Iley tried his luck from 25-yards, only to see it just clear the crossbar. The away side should have doubled their advantage moments later. Nick Olsen was about to pull the trigger from six-yards, but Roberto Hamad was having none of it, sliding in to see the ball hacked away to safety. The introduction of Sean Seavill on 53’ minutes saw Manly’s tempo raised instantly. They enjoyed a good spell of pressure leading to the hour mark as they pressed for an equaliser. When Boardman missed a simple header on 64’ minutes, it looked like it was going to be Manly’s time. Moments later Brendan Cholakian almost levelled proceedings after whipping in a free-kick. Gloveman Nathan Denham was up to the task, flicking the effort out for a corner. With 82’ minutes played, the home side got the goal they craved. Defender Josh Lawson headed home a Sim corner, and he could hardly contain his delight as he was mobbed by his teammates. Sutherland then raised their game in the search for a winner, only to see Mitchell deny Nathan Elasi and Nikas within the space of 90’’ frantic seconds. Sharks substitute Chris Naumoff almost stole the points with an effort which flashed past the far post. Sim then had a half-chance, with the game really coming to life in the final 10’ minutes. However it was Nikas who had the last say. Given too much room by the retreating Manly defence, he jinked his way into the area and fired home at the second attempt to silence the crowd in the Lucas Neill Grandstand – it was his tenth goal of the season and has become the leading scorer of the competition. “Manly were very compact, it took us a while to break them down,’’ the Sharks boss said. “We have a heartbroken team at the moment,’’ he said. “Fair play to Sutherland, they kept coming at us.